Who Minds The Child? is a Canadian, charitable (pending), non-profit group, dedicated to the protection and enhancement of children’s development and childhood culture. 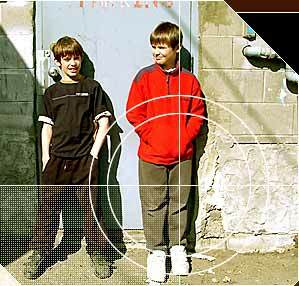 Based in Kelowna B.C., WMTC raises awareness of the negative effects of consumerism/media on children and society. We create strategies for change aimed at strengthening the knowledge, skills and confidence of all those who influence the lives of children. Our mission is to prevent corporate and consumer culture from exploiting children and their development, individually, socially and culturally. We desire a world where the healthy development of children is of greater value than commercial interests and children and parents are free of the profit-driven barrage of messages that threaten the bonds between kids and parents. We need adults to be informed about the extent of corporate manipulation targeting our youngest citizens. Corporations must be held accountable for the damage inflicted on children and their families. We seek freedom of thought - for children to develop independent minds and healthy bodies in a nurturing environment. Imagine -- a future where children become the adults that change the world. Who Minds The Child? is a Canadian, national, charitable (pending) non-profit dedicated to the protection and enhancement of children’s development and childhood culture. Based in Kelowna B.C., WMTC raises awareness of the negative effects of consumerism/media on children and society. We create strategies for change aimed at strengthening the knowledge, skills and confidence of all those who influence the lives of children. Imagine: A future where children can become the adults, that change the world.